We are happy to announce our stamp collaboration with Kit Cronk of Ruby & Pearl Press! 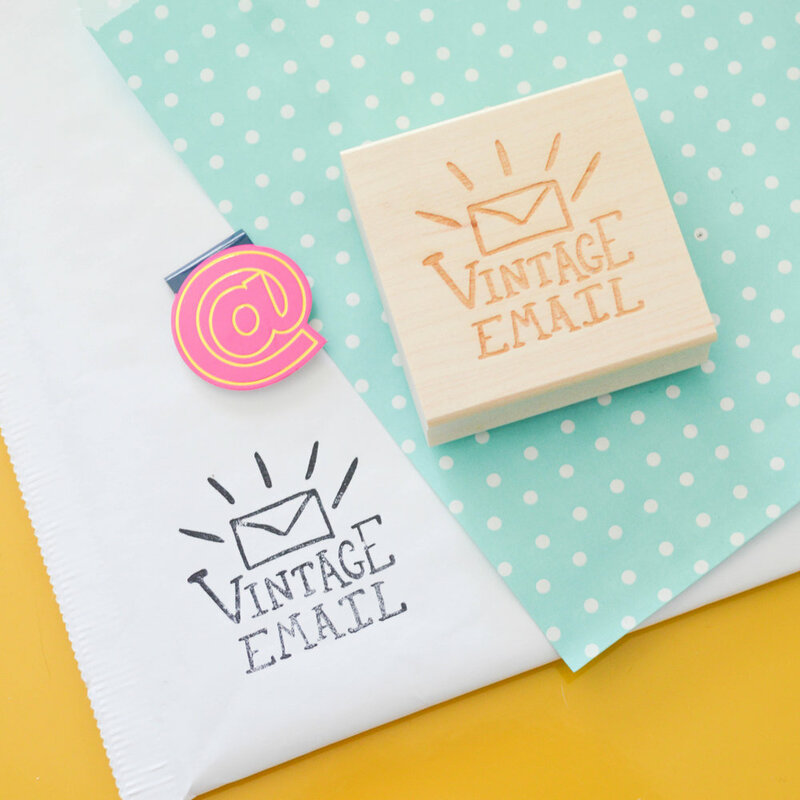 Kit hand lettered this collection of packaging stamps for us and we could not love them more! Kit is a self confessed perfectionist addicted to iced mochas and reading, who firmly believes life should be a musical. She lives in beautiful Brisbane, Australia. Her business, Ruby & Pearl Press, is a range of quirky paper goods and stationery. All the designs are inspired by her love for bright colours, hand lettering, and puns. Are you a designer or calligrapher who is interested in seeing your designs on stamps? We would love to work with you! Our artists receive a commission on each stamp sold, some free products, and 10% of all profits from the sale of our stamps go towards building a school with Pencils of Promise! Click the button below to apply!